Ngugi wa Thiong’o novel Matigari is set for the big screen says Nollywood filmmaker Kunle Afolayan. Who is Matigari? Is he young or old; a man or fate; dead or living… or even a resurrection of Jesus Christ? These are the questions asked by the people of this unnamed country, when a man who has survived the war for independence emerges from the mountains and starts making strange claims and demands. Matigari is in search of his family to rebuild his home and start a new and peaceful future. But his search becomes a quest for truth and justice as he finds the people still dispossessed and the land he loves ruled by corruption, fear, and misery. Rumors spring up that a man with superhuman qualities has risen to renew the freedom struggle. The novel races toward its climax as Matigari realizes that words alone cannot defeat the enemy. He vows to use the force of arms to achieve his true liberation. Matigari is a satire on the betrayal of human ideals and on the bitter experience of post-independence African society. The book caused quite a bit of controversy in Kenya leading to then resident dictator Daniel Arap Moi issuing a warrant for the arrest of Matigari as he believed it was an individual trying to overthrow his government. When it became evident that it was a character in a book the title was confiscated and banned from circulation. A new generation of Africans are set to see this book on the big screen if Nollywood filmmaker Kunle Afolayan has his way. The filmmaker behind movies like The Figurine (2009), October 1 (2014), The CEO (2016), and Omugwo (2017) has announced that he is working on adapting the book into a movie. He made this revelation on the sidelines of the African Movie Academy Awards that happened in Kigali, Rwanda. Read more about the filmmakers statement from The Cable Nigeria. 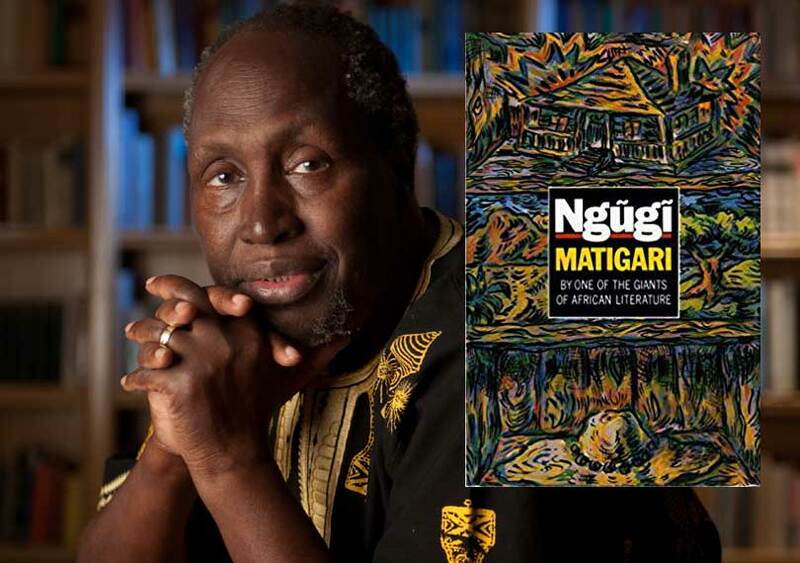 In other Ngugi and film news, Ngugi wa Thiong’o: The River Between African Languages and European Languages, a new documentary documenting the life of Ngugi wa Thiong’o and the struggles he faced is out. Produced by University of Wisconsin-Whitewater professor Dr Ndirangu Wachanga, it has been screened at Harvard University, Princeton, Yale, Cornell, Amherst College, University of Massachusetts—Amherst and UW-Madison. Read more about it here. Previous Previous post: A snapshot of a memorable Ake Festival 2018. Next Next post: Sharjah International Book Fair 2018: Yaa Gyasi’s “Homegoing” now in Arabic.